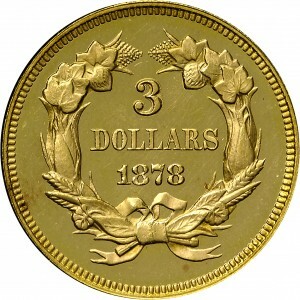 This coin was struck from the same obverse die used for the 1877 Proof, HBCC-4032. Obverse rust marks are prominently visible. 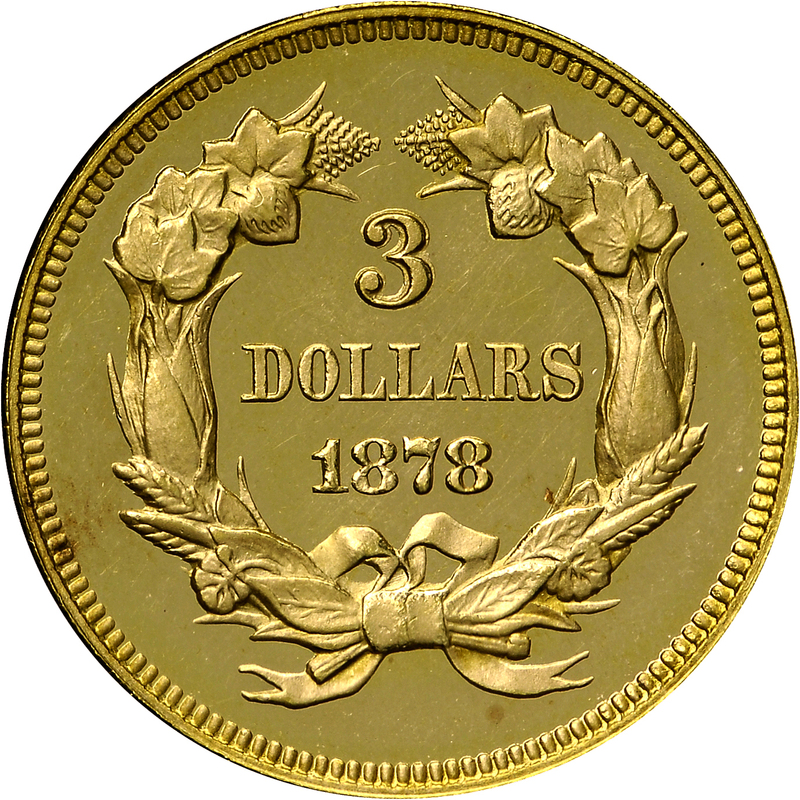 As a date, this is one of the most plentiful three-dollar gold coins, with 82,304 minted, the second highest mintage of the denomination. Proof examples are another matter, with just 20 struck-all on February 9. Possibly a dozen examples survive from this mintage, with only two or three being “gem” quality coins such as this. 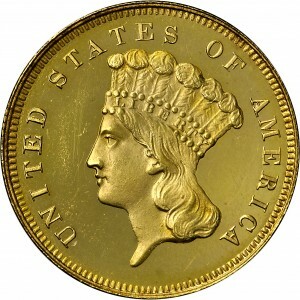 Purchased from Stack's, June 6, 1973, as part of a full 1878 Proof set. 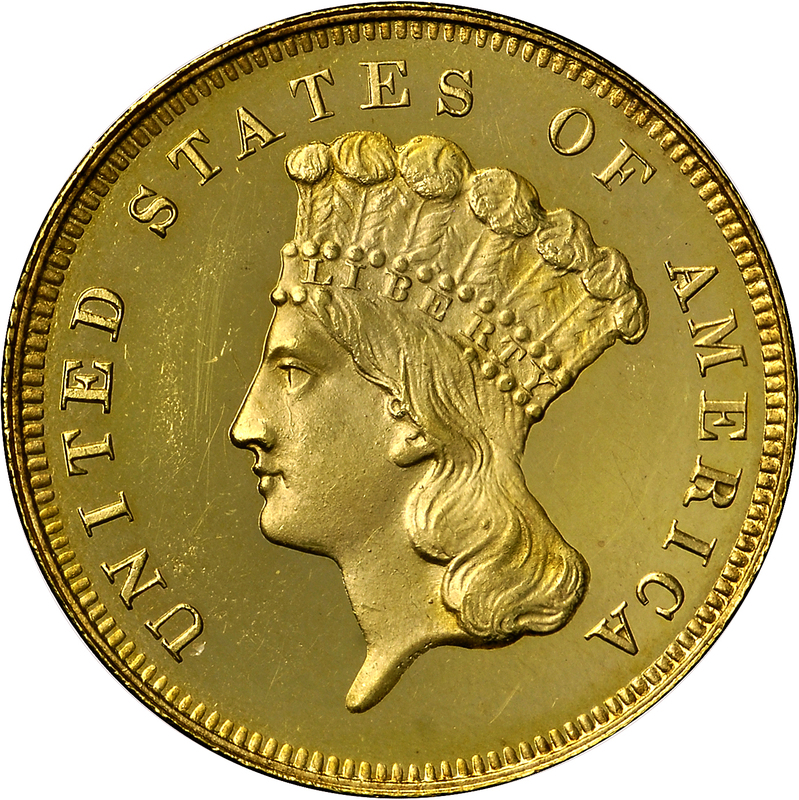 (adapted): "Obverse: That of 1877 #1 Proof. Rust lump on neck opposite next to lowest curl; another (larger), in center area of lower hair. Reverse: Date level, slightly low, 8 to left of being centered under right foot of A. Lump (prior punch?) within top loop of last 8."